The creative minds behind Toy Story's Buzz Lightyear and The Incredibles' Edna Mode aren't just actors and storytellers — they're technical virtuosos. The creative minds behind animated films like Toy Story and Finding Nemo aren't just actors and storytellers — they're technical virtuosos. 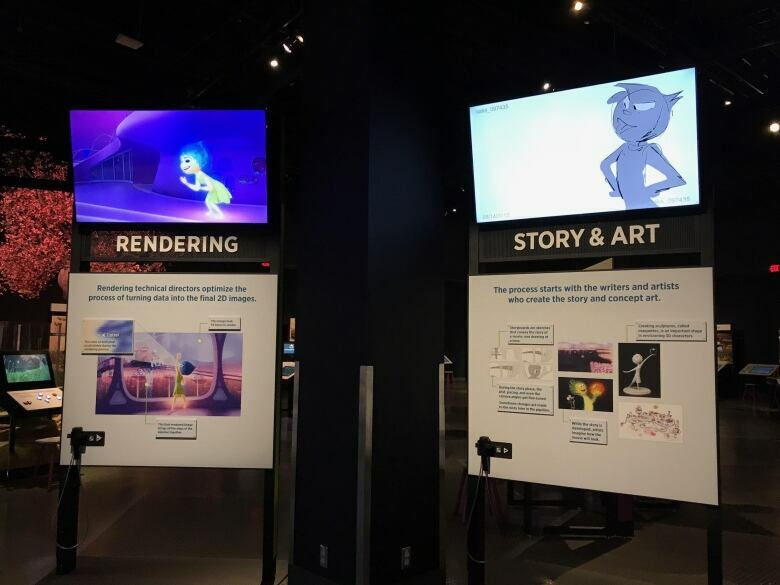 A new exhibit opening Saturday at Science World British Columbia peels back the curtain on the science of Pixar Animation studio. 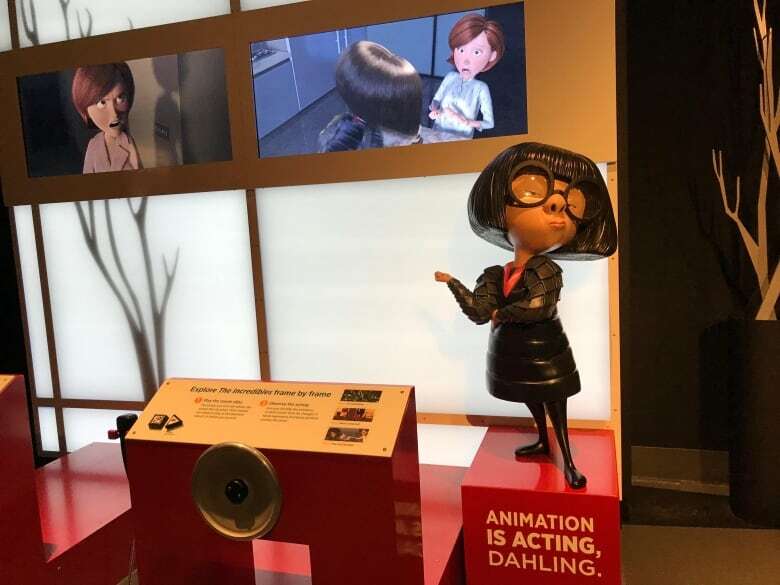 The 13,000-square-foot space guide viewers guides visitors through the technological, engineering and mathematical feats it takes to pull off beloved films such as The Incredibles and Ratatouille. 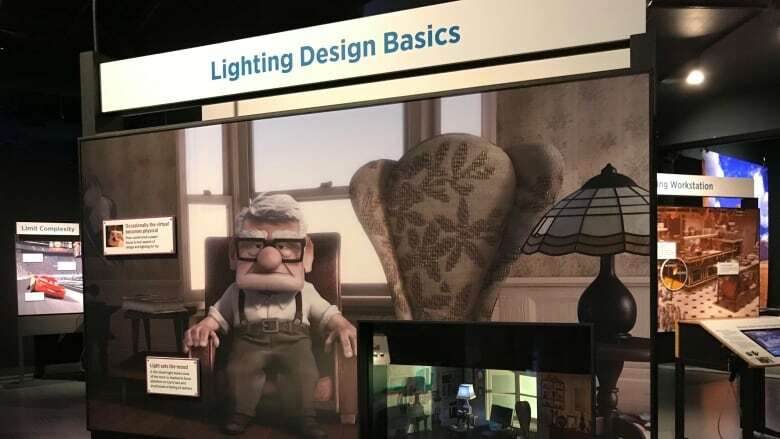 "Many of the jobs that are really talked about in this exhibit are technical artists," said Elyse Klaidman, Pixar's director of archives and exhibition. "There are a lot of skills, like science, math and specifically algebra, physics and chemistry, that people have no idea are essential to the process." The travelling exhibit, created by the Museum of Science, Boston, is structured around the eight steps in Pixar's production pipeline. Visitors learn how artists model characters, design sets and cameras and, of course, animate. Unlike the romantic image of artists sketching out cartoons, Pixar's films heavily rely on computers. Artists, for instance, use algorithms to create the smooth, believable surfaces on characters. The bouncy red locks of Princes Merinda, the feisty heroine in Brave, were created using a simulation based on springs. Klaidman said the exhibit is valuable for kids who wonder why they need to learn concepts like algebra. "What's magical about this is it gives meaning to those studies," she said. The exhibit also showcases Pixar employees, who talk about their backgrounds and how they fell into their roles. It's meant to encourage kids to consider careers in science and math, Klaidman said. "They think, 'Oh, this person's like me. I could see myself doing this.'" It doesn't hurt that the exhibit is also plain-old fun. Visitors come face-to-face with models of Pixar favourites, such as Wall-E from the film of the same name and Edna Mode of The Incredibles. "It's got endless potential," Kleidman said about the space. "You can spend many, many hours in here."